EdTA delegates at the 2017 Educational Theatre Association Advocacy Day in Washington, D.C. 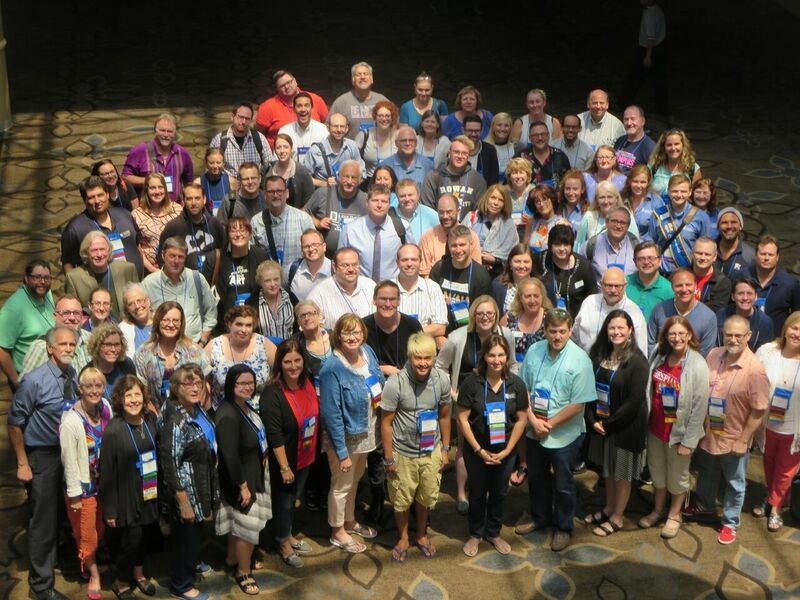 In 2017, more than 90 Educational Theatre Association members convened in Washington. D.C. to participate in EdTA’s first Theatre Education Advocacy Day. Attendees engaged in a day of advocacy training and another day visiting the offices of their Senate and House representatives. Amazingly, these dedicated advocates made the case for theatre and other arts education in 100 Congressional offices. This summer, the event is back. The 2019 EdTA Theatre Education Advocacy Day will take place July 15-16, in Washington, D.C. The event, entitled, “Be Part of the Change,” is open to all adult and student members, and will be modeled after the 2017 event. Delegates will engage in a day of advocacy training workshops followed by a day of visits to Congressional offices on Capitol Hill. Training will be conducted by Americans for the Arts staff, with the support of EdTA leadership and members of the organization’s Advocacy Leadership Network. Along with the workshops, EdTA will present its Legislator Leadership Arts Education Advocacy Award, given annually to a legislator who has demonstrated exemplary public support for arts education. 1. The 2018 mid-terms were a watershed year on Capitol Hill, with the election of 101 new House representatives and 10 new senators. These freshmen legislators will be looking for facts and figures to help them become literate on policy and legislation that can affect their constituencies back home—including arts education. 2. Student access to theatre education continues to be limited, with only 28 % of public high schools in high poverty districts offering theatre instruction and about 4 % offering instruction at the elementary level. 3.The current administration’s 2020 budget proposal would slash the Department of Education’s budget by 10 percent at the program level or $8.5 billion, down to $62 billion. The 2020 request eliminates 29 programs, several of which include opportunities for the arts under the Every Student Succeeds Act’s well-rounded education definition. 4. The administration has also called for the elimination of funding for the National Endowment for the Arts, a federal agency that re-grants 60% of its funding to state arts agencies, many of which, in turn, fund local arts education related programs. Data matters: The fledgling advocates had spent the previous day in training, much of it focused on the need to know your facts and figures and why they are important touchstones in any ask to a legislator, whether at the district, state, or federal level. Facts are powerful, especially in our current era of strong political division. Stories are important: Everyone has an arts education story—teachers, students, legislators, and office staff. And not surprisingly, in their Hill visits, EdTA delegates discovered that many of those stories were about theatre experiences, memorable moments either onstage or off. The data is great, but a personal story illuminates why theatre has shaped who you are today and why you’re in the office of that senator in the first place. Training and experience are replicable: Many attendees spoke of their eagerness to return to their schools and districts to share their new skills and understanding of the legislative process. While there are some distinct differences between an encounter with a member of your school board or a state legislator and a Capitol Hill congressman, the foundation of your preparation and meeting strategy is the same: know your facts, have your story, and make your ask.